Looking for an easy dinner or lunch box snack? Well, look no further than this ham, cheese and tomato slice! 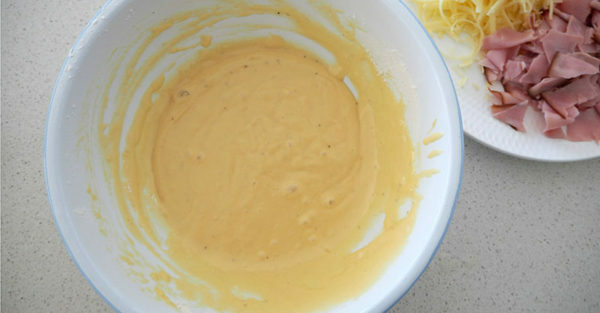 This recipe is VERY versatile and can be enjoyed both warm or cold. You can serve it on its own as a snack, or with a side of veggies or salad for a complete meal. It can also be made ahead of time (will last in the fridge for up to 4 days) – and is freezer friendly too. Step 1. Preheat your oven to 190°C (fan-forced) and line a 28 x 18cm slice tin with baking paper. Step 2. 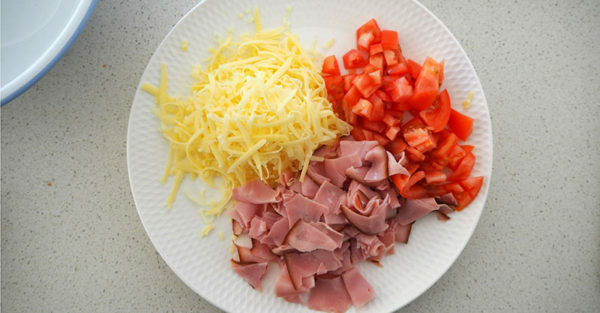 Roughly chop the tomato and shaved ham into small pieces and place it on a plate with the grated cheese and set aside until needed. Step 3. 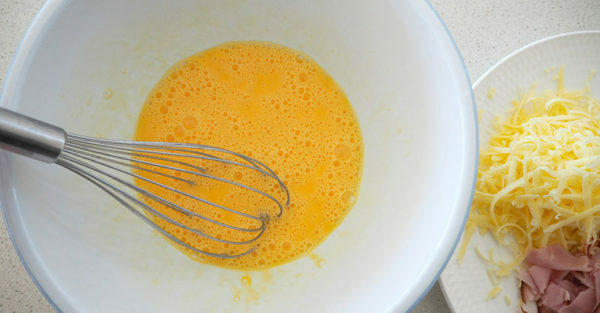 Crack the eggs into a large bowl and whisk. Step 4. Add the extra virgin olive oil, garlic powder, onion flakes, self-raising flour, salt and pepper (if using) and whisk until the mixture is smooth. Step 5. 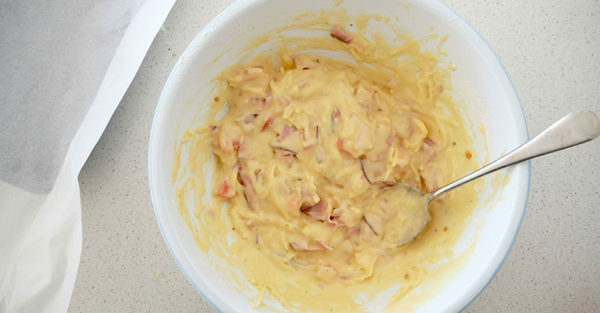 Add the grated cheese, ham and tomato pieces you prepared earlier and use a spoon to stir the ingredients through the mixture. Step 6. Transfer the mixture into your prepared tin and gently smooth the surface. You can also sprinkle a little extra grated cheese over the top of the slice if you like. Bake for 25 – 28 minutes or until golden on top and cooked through when tested with a skewer. 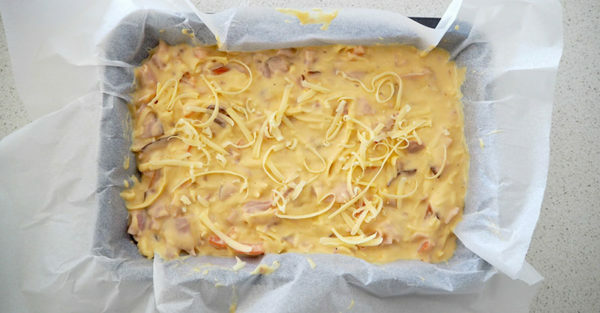 Let the Ham, Cheese and Tomato Slice cool in the tin for 10 minutes before carefully transferring to a wire rack to cool completely.